We have all forgotten a password or two over the years but Joomla can create some real headaches if you manage to forget your admin password! Or perhaps you inherited a site with a new business you purchased or simply had Joomla Administrator duties handballed to you but with no username or password details. But never fear, all Joomla Hosting Packages provided by Joomla Host come with full cPanel access, including access to pHpMyAdmin, which is a powerful SQL editor that can save the day! Hosted Exchange - To do, or not to do? If you are running any sort of business these days, Email is a vital cog in the mechanics of keeping your business working. Of course, having a reliable email hosting company is KEY, but so is having a service that makes things as simple, clear and streamlined as possible. 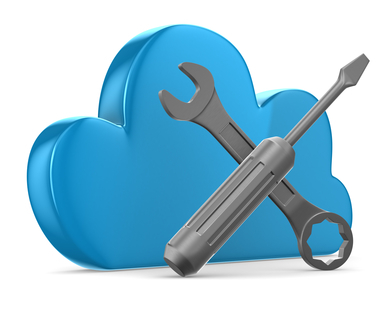 Any of Host101's Web Hosting packages come with a great email hosting service. Its reliable, secure, fast and easy to use. But sometimes, you just need a little more. 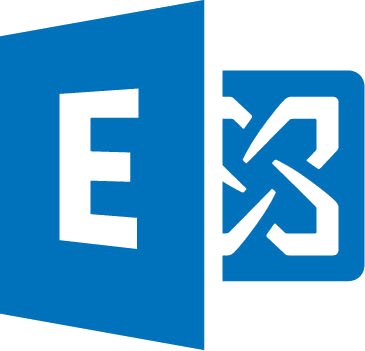 A Microsoft Hosted Exchange service can fill that void, and offer you a whole suite of new features and options. However, running an Exchange server in your home or office, can be expensive, but that is where a Hosted Exchange Email Service from our Partner Company, Hosting-Australia.com can help you make the leap. No expensive software license fees or exorbatant hardware costs. No ongoing overheads from an IT Contractor. Just one, easy and affordable monthly fee. Its feature packed - Share emails, Calendar items, Tasks...get fully integrated mobile Apps and lots more - A Hosted Exchange Email service can get your business punching above its weight. Speed is a key component for a website, not only for a user experience but for helping with Google results. Below are a number of tips that will help you screw every single drop of performance from your site! Caching is vital to improve the performance of your website. Caching can be complex, but in short its a way to ensure less load on a sites database and bandwidth, consequently increase the speed. It can be enabled via your Joomla Global Configuration or even by installing a specific plugin...depending on your requirements. There is some more detailed information about caching on the official Joomla.org site. Alternatively, contact our support team on 1300 761 930 or via our online Joomla support contact form. A good, reliable host is always a big part of any Hosting Setup. But a fast site is not all about server speed alone. For example, a super fast hosting server that isnt well optimised for Joomla or Joomla security, will equal a net result of a slow site. Ditto if its a fast server, but backed by a support team that doesn't under stand Joomla or how to manage a Joomla site. All of JoomlaHost.com.au's Joomla Hosting Packages have ticks in all the boxes to ensure your site is fast, stable and secure. Ensure you keep extensions to a minimum and remove anything that isn't being used. Each left over extension can slow the site down, it may only be a half second...but if you have 8, each adding a half second, it can result in a 4-5 seconds of added load time. Doesn't sound like a lot, but trust us...it is. Unwanted extensions can also add more points of access for potential hackers and make any site upgrades that little bit harder. Dont be an extension horder, tidy up! JoomlaHost.com.au's team of Joomla Design experts can help you assess plugins on your site...just give us a call - 1300 761 930 or email us via our online Joomla support contact form. Images are what make a great site and with the explosion of full page image sliders, or backgrounds, has come the risk of having 2, 3 or even a dozen images that are not compressed down to a reasonable level. For examples sake, if you have 6 images, which are not optimised at all and weigh in at 3mb per image. Right away, your site loading size is a whopping 18mb! (Yes, this would be technically the same as downloading an 18mb file each time you visit the site). You could safely downsize these images to say 0.2mb, without much quality loss. Immediately reducing the total load time to 1.2mb and greatly increasing the load speed of your site. Compression can also be enabled in the Joomla Global Configuration, and can make a great difference to your site load speeds. Enabling compression basically means the site is in effect zipped up, before being delivered to the visitors device. So a site that may be 2mb in size normally, will be reduced to something smaller when being delivered to the client, for example sakes, call it 1.5mb. The actual compression amounts will vary a lot. Generally its only the text and scripts that are compressed, as your images should already be in an compressed image format, such as JPG. Htaccess files are a powerful tool, but are also complex. Its basically a set of instruction on how the server will manage your site. It can be used to do all sorts of weird and wonderful things, including reducing load times. If you are not well versed in using htaccess files and the correct formatting, please contact JoomlaHost.com.au, as the wrong settings can break your site! ETag - Lets the visitors browser know that an images has already been viewed, downloaded and stored on the local machines temporary file...so there is no need to re-download, saving time. Expires headers - Basically implies the above, but with ability to set a time period, the expire time, as to when the browser should look to download the file again. AddOutputFilterByType DEFLATE - Reduces your HTML code size, by stripping unneeded characters, such as spaces or empty lines. The above items can all help your site loading speeds greatly, and the JoomlHost.com.au support team are here to help. Give us a call on 1300 761 930 or email us via our online Joomla support contact form if you need some help speeding up your site. SEO - What is it? Do I need it?